People having heart attacks get faster life-saving treatment if they live in states that allow EMS to bypass closer hospitals that don’t offer the specialized treatment, taking patients directly to those that do. Reducing the time from first medical contact to treatment that restores blood flow to the heart is the most critical factor in improving patient survival. DALLAS, May 1, 2018 — People having a heart attack get faster life-saving treatment to restore blood flow to the heart if they live in states that allow emergency medical crews to bypass hospitals that don’t offer the specialized treatment in favor of hospitals that do, according to new research in Circulation: Cardiovascular Interventions, an American Heart Association journal. American Heart Association/American College of Cardiology guidelines call for patients to receive PCI within 90 minutes or less from first medical contact if they’re taken directly to a PCI-capable hospital and within 120 minutes or less if first taken to a non-PCI-capable facility and transferred. Green conducted the study during fellowship training at the University of Michigan in Ann Arbor. Researchers noted a key challenge in any heart attack care was that a substantial number of patients (27 percent) delayed accessing EMS or didn’t access EMS at all and took themselves to the hospital. 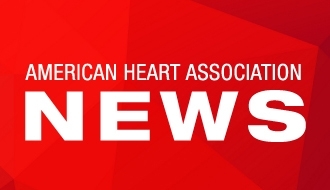 The study was funded by the American Heart Association’s Mission: Lifeline program which aims to develop coordinated systems of care led by EMS and hospitals teams to use guidelines and best practices to treat heart attack, stroke and cardiac arrest. The goal is to improve and expedite care from the moment a person first has symptoms, to calling 9-1-1, getting to the right facility to get the right treatment and continuing through hospital discharge, rehabilitation and recovery. “The present analysis demonstrates that allowing EMS providers to bypass non-PCI-capable hospitals in favor of PCI-capable hospitals can significantly reduce time to appropriate reperfusion therapy,” write authors Daniel Kolansky, M.D. and Paul Fiorilli, M.D. of the University of Pennsylvania in Philadelphia. “This study strengthens the case for state government leadership in developing robust systems of EMS care that can triage and transport patients with time-critical conditions such as heart attacks,” Green said.